A choice of 4 elegant colors. Designed to easily fit in your hand without slipping. A choice of 4 elegant colors. Has a thin and lightweight body that optimizes internal components using a proprietary folded optics system. Use the dedicated editing apps “THETA+” to easily put the finishing touches to eye-catching work. 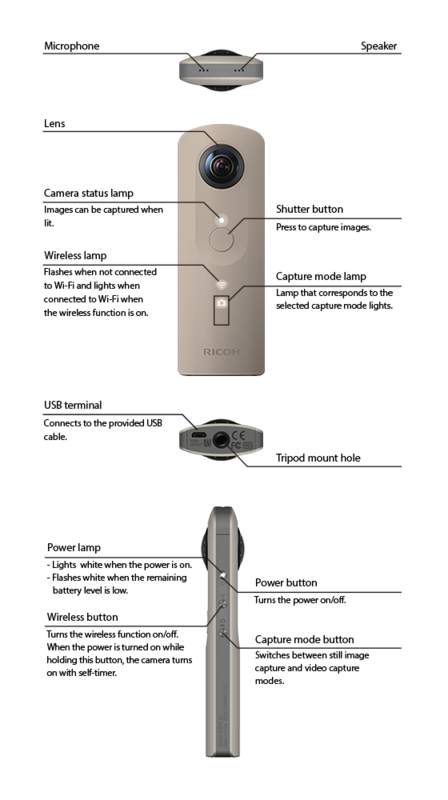 RICOH THETA series dedicated monopod. 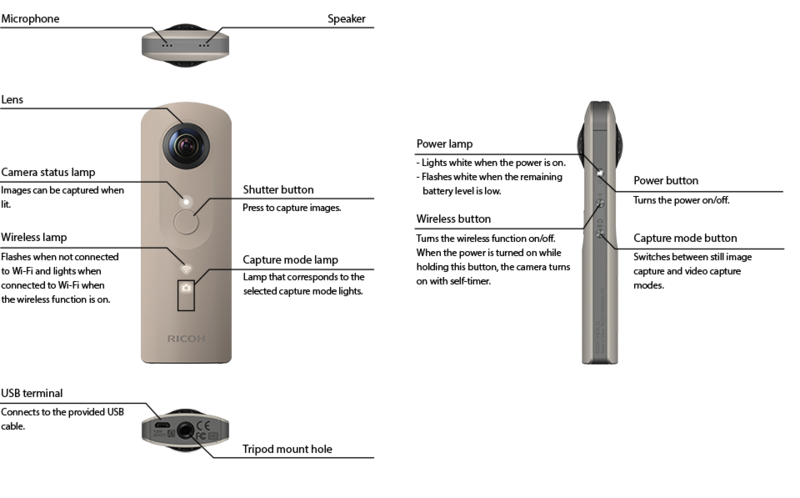 The camera platform and leg are reduced in size to prevent them from appearing in a RICOH THETA’s image, and a quick-release system is adopted for the camera platform. RICOH THETA V/THETA SC/THETA This underwater housing provides waterproof performance that makes it possible to shoot 360-degree images up to 30 m underwater (IPX8, JIS protection class 8). This is a slot in case which combines functionality and protection performance. It is easy to carry because of its' small size and light weight, and is able to put RICOH THETA inside while wearing the optional accessary, Attachment for strap.